In a backseat ride over New Hampshire, the Eagle shows why it’s still lethal, yet increasingly expensive. WESTFIELD, Massachusetts — The F-15C Eagle weighs about 16 tons, but with nearly 47,000 pounds of thrust pushing it down the runway it feels more like 16 ounces. In a just seconds, the plane passes 100 miles per hour, then twice that. It hops off the ground but the pilot, Maj. Jay “Fat” Talbert keeps it level, fifty feet up, and pours on more speed. “Here come the G’s,” Talbert warns his passenger in the back seat. Then he pulls back the stick. Twin afterburners glow and a thunderous roar covers the peaceful New England landscape as the jet goes vertical. The altimeter spins like a stopwatch — and freezes at 6,000 as Talbert rolls the plane onto its left side and levels out. Then he turns right, heading toward the training area where he will show how this plane, built in 1985 to a 1970s design, can still best foreign-made jets in air-to-air combat. The question now is whether Air Force leaders want to spend tens of billions of dollars to refurbish the C- and D-model F-15s and upgrade their electronics, or to put the money toward newer aircraft. 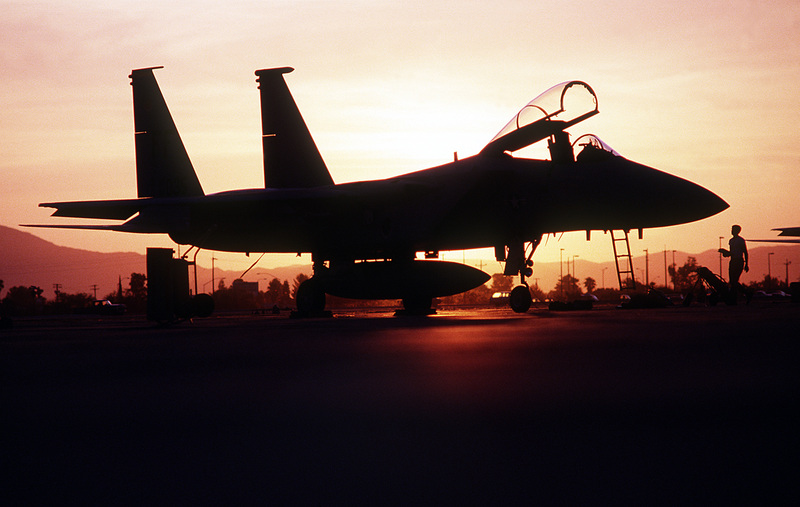 Officially, the Air Force plans to keep the F-15C/D around for another quarter-century. 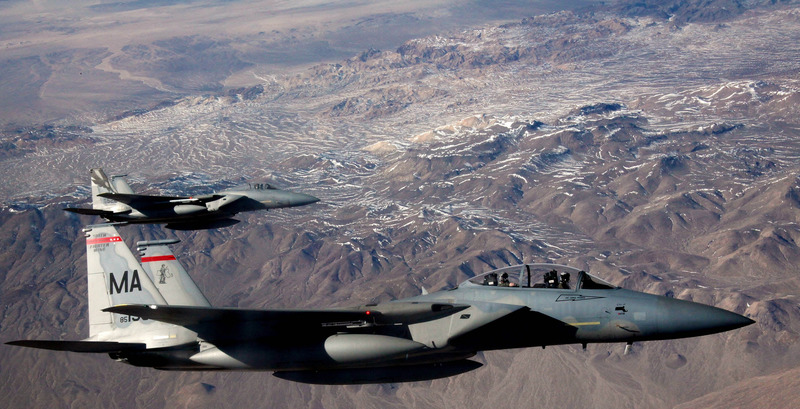 (Its newer cousin, the ground-pounding F-15E Strike Eagle, is slated to serve even longer.) But in recent years, military leaders have retired more warplanes than planned to save maintenance money and buy newer jets. Several Air Force officials have said the service’s top generals are reviewing how the air-to-air-only F-15s fit into that mix. 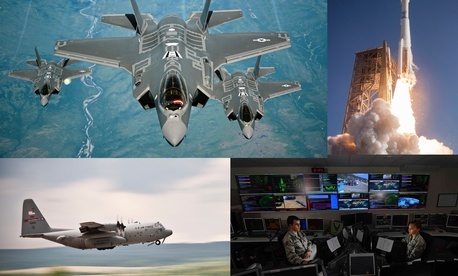 Among the options: upgrade the fourth-generation F-15, accelerate the purchase of the fifth-generation F-35 Lightning II, or pour the money into the warplane of the future, called Penetrating Counterair. “We are planning to keep the jet around and viable until 2042 until told otherwise,” said John “Heed” McLaughlin, Air Combat Command’s F-15 program element manager at Langley Air Force Base in Virginia and a former Eagle pilot who oversees the upgrades and improvements to the plane. The plan is to team the Eagle with the F-22 Raptor, marrying two generations of air superiority fighters. Even though it’s been around since the 1970s, the F-15C/D is still considered one of the best aerial combat jets ever made. In the U.S. military, its dogfighting capabilities are bested only by the stealthy F-22. The Eagles flown by the 104th Fighter Wing were built in the 1980s, making them older than some of the airmen who fly and fix them. Inside the cockpit, the F-15C is a throwback to an analog age. Instead of large, colorful touchscreens — standard in newer planes like the F-22 and F-35 — the Eagle still has round-dial gauges that show speed, fuel, heading, and other flight data. Yet it carries some high-tech gadgets and gizmos. Air National Guard pilots use Sniper targeting pods — more commonly found on ground-attack planes — to read tail numbers from miles away, useful when intercepting planes over the United States, said Travis “Beast” Hazeltine, who runs F-15 testing at the Air National Guard and Air Force Reserve Command Test Center in Jacksonville, Florida. But keeping the Eagles flying has been a challenge. Many of the companies that built its unique parts don’t exist anymore. And despite being kept in top-notch shape, these machines are finicky. Just two days before Talbert’s flight, the jet wouldn’t start after the temperature dropped overnight from 60 degrees to the 30s. And as he guided the plane north to New Hampshire’s restricted airspace, a safe space for the planes to fly high-performance maneuvers, the jet yawed slightly to the right, requiring Talbert to correct its course. Keeping them aloft will only get more expensive. Three decades of high-performance maneuvers have taken their toll on the fleet. The F-15s need new longerons, steel beams that hold the structure of the plane together. Nine years ago, an Eagle broke apart over Missouri when a longeron snapped. The pilot lived, but was injured when he ejected from the crumbling jet. The Eagles also need new wings, a major upgrade planned to be done by the mid-2020s. Then there is the new electronic equipment, including a new central computer, needed to keep the plane lethal against Russian and Chinese surface-to-air missiles and aircraft. Boeing’s Parker said the new mission computer is 50 times more powerful. Another important improvement is the Eagle Passive Active Warning System, a digital electronic warfare suite. “It’s going to be a really critical piece of kit, which is going to allow the F-15 … to operate in contested environments and dense environments,” Parker said. But that new $6 billion system is still a decade away, meaning some type of gapfiller is needed, Hazeltine said. Another upgrade, a long-wave infrared search-and-track system, would allow the jet to see enemy threats from long distances. The system allows pilots an alternate way to target enemy planes if the jet’s radar is being jammed. “We need this out there now because … this will be a game-changer for us in the fourth-gen and give us some capability against fifth-gens as well,” McLaughlin said. Some of the old, monochrome screens and analog gauges will be replaced by new color screens. “With the new advancements on the [electronic warfare] side and the mission computer and the missile carriage, it’s going to be a foreseeable beast really for the next 20-plus years,” Parker said. There are also classified improvements being eyed. “We’re constantly trying to stay ahead of our enemy with capabilities and stuff like that,” McLaughlin said. 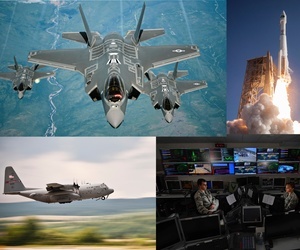 The estimated bill: $12 billion over the next two decades, according to Air Combat Command, the arm of the Air Force that oversees all of its fighter jets. And that doesn’t include other options, like conformal fuel tanks that attach to the side of the plane’s fuselage. The tanks would extend the range of the plane, decrease aerial refueling, and allow it to carry more air-to-air missiles. “If we’re not going to be stealthy, might as well be really not stealthy, but carry a lot of weapons and be able to hang out,” said Col. Tom “Sling” Bladen, the 104th Fighter Wing’s operations officer. Of the 400-plus F-15C/Ds purchased by the Air Force over the decades, just 212 one-seat C-models and 23 two-seat D-models remain in service. The two-seat versions are used for training. More than half of the jets are spread across five Air National Guard wings. The rest are based at active-duty fighter wings in Japan and England. Here in Massachusetts, the wing’s 18 F-15s are sent on routine deployments or kept on alert, ready to be scrambled in minutes to intercept Russian bombers flying down the coast, a hijacked airliner, or a small Cessna not responding to an radio call. All five National Guard wings maintain jets on alert, armed with air-to-air missiles. These jets are on alert 24 hours per day, 365 days per year. But a wing with so few jets can’t do much training for the F-15’s primary mission: four jets dogfighting against a bunch of enemy planes. When there were more jets in the Air Force, it was easy to borrow planes or team up with neighboring units. But aging fleets and budgets have led service leaders to cut the number of planes in recent years. Meanwhile, the F-16 Falcon wings that used to join the mock dogfights have for 15 years been focused on training to hit ground targets in Afghanistan and Iraq. Lt. Gen. Scott Rice, the director of the Air National Guard at the Pentagon and a one-time commander of the 104th, is looking to get his fighter wings more planes — perhaps the F-15s being replaced by F-35s in active duty squadrons. “If you had three or you had six or you had nine [extra jets], you wouldn’t increase manpower a lot and yet you’d increase the number of cockpits and flying platforms,” he said. F-15 pilots are also looking to keep their skills sharp is through deployments. The 104th spent six months in Europe earlier this year as part of Operation Atlantic Resolve, the Pentagon’s response to Russia’s invasion of Ukraine. The unit flew NATO air policing missions in Iceland and participated in multinational exercises in The Netherlands, Estonia and Bulgaria. “It gives us an opportunity to exercise our primary mission, which is air dominance,” said Green, who expects more such deployments in coming years. But it wasn’t easy getting the 104th to Europe. The wing partnered with the 144th Fighter Wing, an F-15 unit based in Fresno, California, to keep the required number of jets sitting alert stateside. The deployment provided a good reminder of the threat that has emerged in Eastern Europe following Russia’s invasion of Ukraine. “When you take off [in Estonia] you were either in or very close to being in a Russian [surface-to-air-missile] system out of Kaliningrad,” he said. Pilots often spotted Russian warplanes on the other side of the border. “You are totally relying on the fact that we are at peace,” Bladen said. When the 104th arrived in Bulgaria, Russian fighter jets were waiting, prompting their hosts to scramble their Soviet-built Mig-29s. 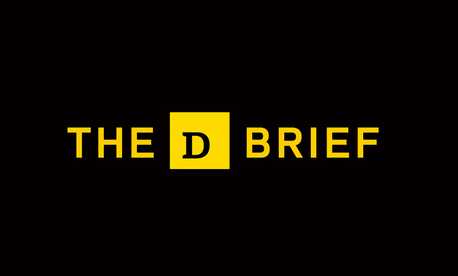 In the end, there were no close encounters or incidents between U.S. and Russian aircraft. “We were our own little ‘Sons of Anarchy’ roving motorcycle gang around Europe, in a good way,” Bladen said. In Bulgaria, the fighter wing started the process of standing up an American alert station there. “We put all the pieces in place at the tactical level,” Bladen said. 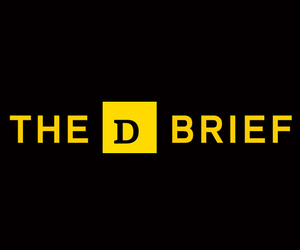 Rice envisions the Guard “being a significant part” of future European deployments. Back in the sky over New Hampshire — as he twists and turns his plane in a simulated dogfight — Talbert and his wingmen hope that the Eagle will be flying missions on those deployments for decades to come.